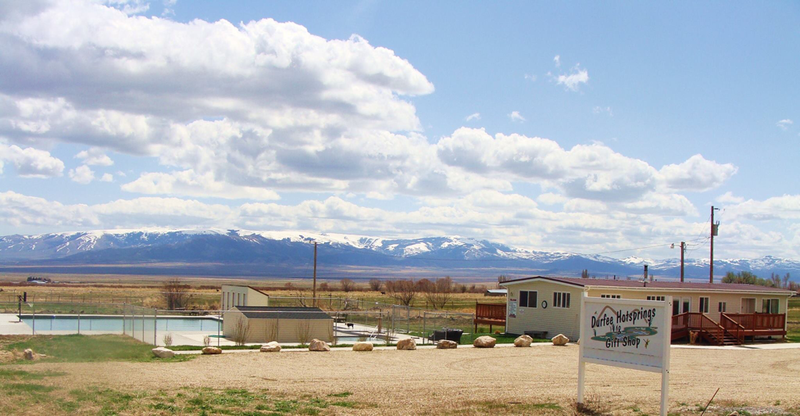 General Description: Durfee Hot Springs​ is a rustic family friendly hot springs destination. Durfee ​boasts four outdoor hot spring pools. This hot springs resort is located outside of City of Rocks National Reserve in Idaho. Location: From Twin Falls, Idaho is about 80 miles or about an hour and half to drive to the hot springs. Accessibility: Durfee Hot Springs​ ​is very accessible. You can drive up to the resort. The hot springs are an easy walk around the hot springs. This hot springs is not handicap accessible. Hot Springs: ​Durfee Hot Springs boasts four outdoor hot spring pools. Two hot springs pools are 15 by 30-foot hot tubs. The kiddie hot springs pool 10 x 20-foot. The large hot springs swimming pool is 50 x 50-foot swimming pool. The temperature of the hot spring pools run between 85 - 103 degrees. Clothing is not optional. The water is not treated. The pools are flow through pure mineral water. 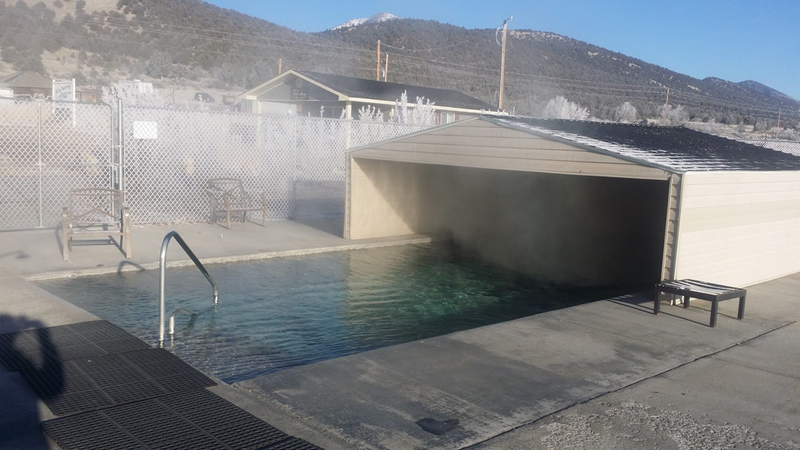 Hot Spring Tips: Durfee Hot Springs offers day use soaking. There are no accommodations at the hot springs. Durfee offers a gift shop. This hot springs is not pet friendly. Clotting is not optional. You can rent a towel or a bathing suit if you don't have one. Youtube Video on Durfee Hot Springs is below.